The Cambridge Community Foundation, in partnership with Cambridge Mayor Marc C. McGovern and Somerville Mayor Joseph A. Curtatone, is expanding its immigrant legal defense fund to support individuals who live and work in the Somerville community, as well as Cambridge. The expanded fund has been renamed the United Legal Defense Fund for Immigrants, reflecting the growing need for legal support for immigrants across city borders. By unifying efforts to raise funds for the most vulnerable families in our community, we can help valued neighbors and stabilize families impacted by the stress and uncertainty of ongoing shifts in TPS and DACA status, and those seeking asylum. Funds raised through the United Legal Defense Fund for Immigrants will be distributed in the fall of 2019, to address this urgent need. Many immigrant families, children and workers in our community are caught up in a humanitarian crisis that is tearing families apart, threatening to deport TPS holders and DREAMers from the only home they have ever known, and exposing asylum seekers to the persecution and abuse they faced in their home countries. Help us help our most vulnerable neighbors in Cambridge and Somerville with a tax-deductible contribution to the United Legal Defense Fund for Immigrants. In Massachusetts, there are approximately 19,000 students eligible for DACA status, over 12,000 are workers with Temporary Protective Status, and thousands more are asylum seekers. While there is no city-specific data on the numbers of undocumented immigrants in our community, proxy data shows 27% of the population in Cambridge is foreign born. 25% of Somerville’s population are immigrant residents. In Cambridge, approximately 40% of children have at least one foreign born parent. In Somerville, 49% of students in the local school district have a first language other than English. Provide family legal services to support Temporary Protected Status (TPS) workers. $200 medical exam: Immigration proceedings require medical examinations performed by a civil surgeon who has been designated by USCIS. This is not paid by the court. $465 DACA fee: The fee covers first time and renewal applicants of Deferred Action for Childhood Arrivals (DACA). The cost of the application has been one of the major barriers to the DACA program. Translation costs: Immigrants may need translation services, and pro-bono attorneys don’t necessarily provide them. $6,000 for Asylum: It costs approximately $5,000 to $6,000 in attorney fees for a single client to get through the Asylum process. The Asylum process requires 70 to 120 hours of legal work. To help one youth gain special immigrant juvenile status requires 50 to 70 hours of legal work. To help one victim of trafficking requires 40 to 80 hours of legal work. More dollars mean more resources for threatened immigrants. Make your tax-deductible gift now. 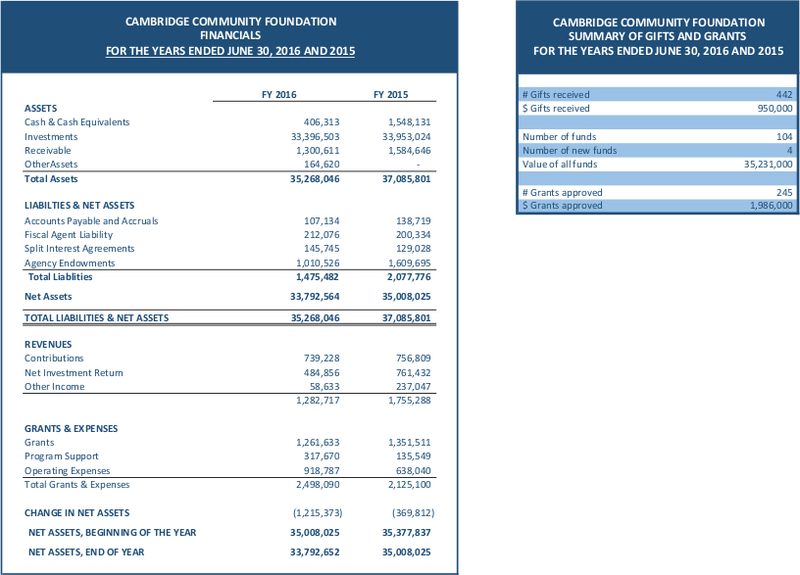 Please make checks payable to Cambridge Community Foundation for United Legal Defense Fund for Immigrants and mail to 99 Bishop Allen Drive, Cambridge MA 02139 or donate online.